Please join us for a very special book launch with LSE's Richard Layard and Alan Krueger. 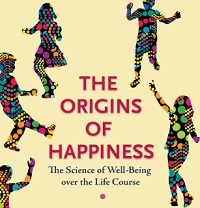 Groundbreaking in its scope and results, The Origins of Happiness offers all of us a new vision for how we might become more healthy, happy, and whole. At the event, Richard and Alan will discuss the findings of the book. Tickets: Free to all. Kindly respond by December 19th 2017. How to book/Inquiries: For questions or to RSVP, please email j.m.cantlay@lse.ac.uk. What makes people happy? Why should governments care about people’s well-being? How would policy change if well-being was the main objective? The Origins of Happiness seeks to revolutionize how we think about human priorities and to promote public policy changes that are based on what really matters to people. Drawing on a uniquely comprehensive range of evidence from longitudinal data on over one hundred thousand individuals in Britain, the United States, Australia, and Germany, the authors consider the key factors that affect human well-being. More. This is an LSE Foundation event.